Do you want to convert format of a video file? You may heard or even tried Total Video Converter. Although, total video converter is not a free tool, so if you want to use that tool then you have to purchase it or find any cracked version :). But i think there is no need to do that and wasting your time online to find cracks for total video converter. Even you don't have to download any other software. Yes! , you can convert any video format with your favorite Media Player i.e. VLC media player. The VLC media player is an open source program by VIdeoLAN, so you can download and use it for free.The method of converting video through VLC is pretty simple. 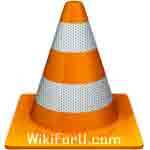 So If you are ready to go then lets start converting a video with VLC Media player. First of all Download and install VLC media player if you haven't already. Go to VideoLAN's Official Website to download VLC media player. Now open VLC media player. Click on Media from top menu bar. In file selection box, click on Add and select the Video file whose format you want to convert. If you want to add other external Audio track then Check 'Show More Options' and check 'Play another Media Synchronously'. Now choose external media file by Clicking on browse and then again click on Add. Now choose any desired audio file and click on select. A new dialog box will open. Choose destination folder and desired file name by clicking browse in front of Destination file. Now choose your video profile. You can customize your output video by clicking Settings icon in profile section. Now click on start and that's all. Check your destination folder for output file. Now you have converted your video format with VLC Media Player. Have fun friends and Feel free to ask if you have any problems in converting videos. You can also use free tool called Format Factory to convert and Join Videos.